Boats of Fun at 36th Ocean City Seaside Boat Show! All aboard for the boat show! If you live near the water, chances are you or someone you know are a big fan of boats. How could you not be?! If you are one of these people, the OC Seaside Boat Show is for you. 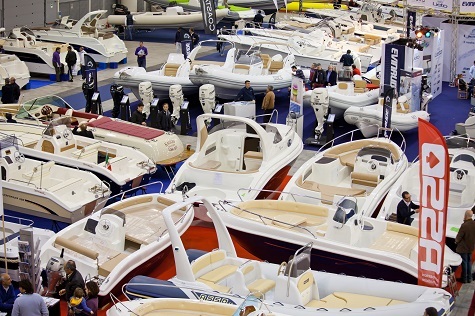 On February 15-17th the #1 Inside Boat Show on the Eastern Shore returns to the Ocean City Convention Center. If you’re looking to purchase a boat, this is the place! With more than 50 boat dealers, the odds of you finding one that meets your needs is very likely. There will also be Bass Boats and accessory show specials. If you’re attending the show just to look around and window shop, great! The more the merrier. With approximately 350 boats on display, you’ll be entertained for quite awhile. If boats don’t spark your interest, but shopping does, you won’t be disappointed! With more than 140 exhibitors, there is something for everyone to shop for. Most of the vendors are boat related, but not all of them. There will also be jewelers, surf shops, arts/crafts vendors, and more! There is also another added bonus to this Ocean City Boat Show: the BIG show giveaway? Can you guess what it is? Your very own boat and motor! North Bay Marina has generously donated an 18’ Sweetwater Pontoon Boat & a 40 HP Honda Motor. Can’t you picture yourself cruisin’ in the bay in this sweet ride? The boat show is going to be yachts of fun! Admission is only $10 or you can purchase a pass for the whole weekend for just $15. Boat show hours are from 11am-7pmM on Friday, 10am-7pm Saturday, and 10am-5pm Sunday. If you truly love boats, we’ll catch you at the 36th Annual OC Seaside Boat Show on February 15, 16, and 17!